GVS-Grande Vitesse Inc. is one of the leading manufacturers of integrated system solutions for mission critical Raw high speed data acquisition, storage and distribution. GVS designs, develops, manufactures and installs the highest performance (enterprise class) VTR/DDR, Storage, Server, and network solutions available and delivers them at a fraction of the cost of their leading competitors. With over 100 years of combined field experience, GVS is capable of delivering rock solid hardware and software products that meet or exceed your clients' expectations for highest quality digital data acquisition and distribution. Grande Vitesse GVS has made a strong commitment to being environmentally friendly. All Products without Exception: Aluminum or steel are our major materials components. 25% of our Aluminum currently comes from recycled billet, and will increase as more becomes available. Steel recycled content currently averages 58%. Our entire packages are made up of 70% recycled components. Where: As a U.S. manufacturer, GVS utilizes local suppliers reducing transportation impact. The carbon footprint of a Toyota Prius built in Asia is greater than a Chevrolet Surburban. Design: Many of our designs are ruggedized and have very minimal plastic. All GVS products are designed for durability and long-life, facilitating less packaging and transportation. In our storage line, products are designed and fabricated in such a way to take advantage of the ever changing storage market, providing simple expansion within the same drive bays, and without any additional hardware. Every individual product is shipped with a digital record and information is saved for an extended period. Our production processes are all electronic with minimal paper printed. All our documentation is available to view on on-line via Review Manger which allows the user to down-load only the specific pages necessary and not the entire document so it saves unnecessary network traffic. GVS constantly thrives in research and development processes and limits production quantity in order to enhance the product life and quality. Quality: GVS products have always been known for extraordinary reliability and therefore have longer lives than our competitors' products. If our products last longer, the carbon footprint is therefore less. Product life impacts the environment more than any other factor. Our policy is to run our business in the utmost earth friendly environment possible and we have been doing so since 1989 - a lesson for others to follow. Please feel free to contact us for further information. Purchase Policy: Terms and Conditions of Sale For GVS Customers. PLEASE READ THIS DOCUMENT CAREFULLY! IT CONTAINS VERY IMPORTANT INFORMATION ABOUT YOUR RIGHTS AND OBLIGATIONS, AS WELL AS LIMITATIONS AND EXCLUSIONS THAT MAY APPLY TO YOU. THIS DOCUMENT CONTAINS A DISPUTE RESOLUTION CLAUSE. This agreement contains the terms and conditions that apply to purchases by GVS customers from the GVS entity named on the invoice ( "Grande Vitesse Systems" ) that will be provided to you ("Customer" ) on orders for computer systems and/or related pold in the United States. You agree to be bound by and accept this agreement as applicable to your purchase of product(s) or service(s) from GVS. By accepting delivery of the computer systems and/or other products described on that invoice, Customer agrees to be bound by and accepts these terms and conditions. THESE TERMS AND CONDITIONS APPLY (i) UNLESS THE CUSTOMER HAS SIGNED A SEPARATE FORMAL PURCHASE AGREEMENT WITH GVS, IN WHICH CASE THE SEPARATE AGREEMENT SHALL GOVERN; OR (ii) UNLESS OTHER GVS STANDARD TERMS APPLY TO THE TRANSACTION. These terms and conditions are subject to change without prior written notice at any time, in GVS' sole discretion. Other Documents. Other than as specifically provided in any separate formal purchase agreement between Customer and GVS, these terms and conditions may NOT be altered, supplemented, or amended by the use of any other document(s). Any attempt to alter, supplement or amend this document or to enter an order for product(s) which is subject to additional or altered terms and conditions will be null and void, unless otherwise agreed to in a written agreement signed by both Customer and GVS. Governing Law. THIS AGREEMENT AND ANY SALES THEREUNDER SHALL BE GOVERNED BY THE LAWS OF THE CITY OF SAN FRANCISCO STATE OF CALIFORNIA, WITHOUT REGARD TO CONFLICTS OF LAWS RULES. Payment Terms; Orders; Quotes; Interest. Terms of payment are at GVS?sole discretion, and unless otherwise agreed to by GVS, a deposit must be received by GVS prior to GVS?acceptance of an order, and full payment is due prior to shipment. Payment for the products can be made by credit card, wire transfer, or some other prearranged payment method unless credit terms have been agreed to by GVS. Invoices are due and payable within the time period noted on the invoice, measured from the date of the invoice. GVS may invoice parts of an order separately. Orders are not binding upon GVS until accepted by GVS. Any quotations given by GVS will be valid for the period stated on the quotation. Customer agrees to pay interest on all past-due sums at the highest rate allowed by law. Shipping Charges; Taxes. Separate charges for shipping and handling will be shown on GVS?invoice(s). Unless Customer provides GVS with a valid and correct tax exemption certificate applicable to the product ship-to location prior to GVS?acceptance of the order, the Customer is responsible for sales and all other taxes associated with the order, however designated, except for GVS?franchise taxes and taxes on GVS? net income. If applicable, a separate charge for taxes will be shown on GVS?invoice. Shipping; Delivery Methods/Timing. Some products may be available in limited quantities. GVS reserves the right to restrict the number of such items that you may purchase. The GVStore web site will notify you of limitations on product availability, purchasing, and special shipping requirements. This information is subject to change. Whenever possible, GVS 9000 work- stations are shipped within two business days of order processing (please allow 24-48 hours for order processing and credit verification). Because all orders are shipped complete, if any one item in your order is out of stock, your order will be delayed until all components are in stock. Build-to-order products are custom-made to your specifications and are shipped approximately two weeks after GVS processes your order. If you pay by cashier' s check or money order, items are built and shipped approximately 48 hours (2 business days) after GVS receives and processes your payment. You can choose from two shipping methods. If you choose UPS Ground shipping ($35.00), your order should arrive within 3-7 business days after shipping. If you choose UPS 2nd Day shipping ($65.00), your order should arrive within 2 business days after shipping. Metropolis, Nomadic (RAID), and Nomadic Archival (DLT) products require special shipping and handling and have a minimum shipping fee of $387.00 per order; unless otherwise specified. All other items, including printers, peripherals, and media will be shipped via UPS Ground or special ground carrier and will vary according to weight. For credit card orders, please allow 24-48 hours for order processing. If you pay by cashier' s check or money order, please allow 48 hours after payment is received for order processing. Title; Risk of Loss. Title to products passes from GVS to Customer on shipment from GVS?facility. Loss or damage that occurs during shipping by a carrier selected by GVS is GVS?responsibility. Loss or damage that occurs during shipping by a carrier selected by Customer is Customer' s responsibility. Title to all software will remain with GVS for Metropolis server product line shall. Any exception to this must be made in writing prior to the delivery of the product and must be in writing and signed by GVS and the customer. Warranties. THE LIMITED WARRANTIES APPLICABLE TO GVS-BRANDED PRODUCTS ARE INCLUDED IN THE DOCUMENTATION ALONG WITH THE PRODUCTS. GVS MAKES NO EXPRESS WARRANTIES EXCEPT THOSE STATED IN THIS SECTION AND IN GVS? APPLICABLE WARRANTY STATEMENT IN EFFECT ON THE DATE OF THE INVOICE. ANY SUCH WARRANTIES WILL BE EFFECTIVE, AND GVS WILL BE OBLIGATED TO HONOR ANY SUCH WARRANTIES, ONLY UPON GVS?RECEIPT OF PAYMENT IN FULL FOR THE ITEM TO BE WARRANTED. GVS DISCLAIMS ALL OTHER WARRANTIES, EXPRESS OR IMPLIED, INCLUDING WITHOUT LIMITATION IMPLIED WARRANTIES OF MERCHANTABILITY AND FITNESS FOR A PARTICULAR PURPOSE. GVS?RESPONSIBILITY FOR WARRANTY CLAIMS IS LIMITED TO REPAIR AND REPLACEMENT AS SET FORTH IN GVS?APPLICABLE WARRANTY STATEMENT IN EFFECT ON THE DATE OF THE INVOICE. GVS reserves the right to modify its warranty at any time, in its sole discretion. All software that is provided/installed by GVS shall be titled to GVS. Shrink Wrapped (off the shelf) software is the responsibility of the customer and subject to the license agreement that is part of the package. Customer agrees that it will be bound by the license agreement once the package is opened or its seal is broken. GVS does not warrant any software under this Agreement. Warranties, if any, for the software are contained in the license agreement that governs its purchase and use. All products received by Buyer shall be deemed acceptable by Buyer unless within seven (7) calendar days from the delivery/pickup date Buyer shall notify Seller in writing that such products are damaged, defective, or cannot be made operational. This does not extend to any goods which have been modified or altered by persons other than the Seller’s authorized personnel; to goods that are defective due to misuse, neglect, improper installation, soldering or accident, or to goods sold as "used". CUSTOM MADE GOODS ARE NOT SUBJECT TO RETURN UNDER ANY CIRCUMSTANCES. In no case are goods to be returned without first obtaining Seller’s written permission. An RMA (Returned Material Authorization) number issued by Seller must accompany all returned goods. Goods must be securely packed and delivered to Seller in an undamaged condition, with Buyer being solely responsible for paying all return freight expenses. Although Seller may permit Buyer to return Products claimed to be defective under certain circumstances, Seller makes no representations or warranties of any kind with respect to the Products. SELLER HEREBY DISCLAIMS ALL REPRESENTATIONS AND WARRANTIES, EXPRESS OR IMPLIED, AS TO THE PRODUCTS, INCLUDING BUT NOT LIMITED TO ANY IMPLIED WARRANTY, OF MERCHANTABILITY OR FITNESS FOR A PARTICULAR PURPOSE. SELLER WILL NOT BE LIABLE FOR ANY DAMAGE, LOSS, COST OR EXPENSE FOR BREACH OF WARRANTY. The right to return defective products, as previously described, shall constitute Grande Vitesse Systems?sole liability and Buyer’s exclusive remedy in connection with any claim of any kind relating to the quality, condition or performance of any product, whether such claim is based upon principles of contract, warranty, negligence or other tort, breach of any statutory duty, principles of indemnity or contribution, or otherwise. Products. GVS?policy is one of ongoing product update and revision. GVS may revise and discontinue products at any time without prior notice. Based on availability of product(s) and manufacturer revisions, GVS reserves the right to upgrade the product(s), at no additional charge to the customer, without prior consent of the customer. Changes between what is shipped and what is described in a specification sheet or catalog are possible, however, GVS will ship products that have equal or greater functionality and performance of the products ordered. These changes, or upgrades do not qualify as reason for order cancellation. The parts and assemblies used in building GVS products are selected from new and equivalent-to-new parts and assemblies in accordance with industry practices. Spare parts may be new or reconditioned. Limitation of Liability. GVS CAN NOT BE HELD LIABLE FOR DELAYS DUE TO PARTS ALLOCATION OR AVAILABILITY OF PRODUCT(S) FROM GVS SUPPLIERS. GVS DOES NOT ACCEPT LIABILITY BEYOND THE REMEDIES SET FORTH HEREIN, INCLUDING ANY LIABILITY FOR PRODUCTS NOT BEING AVAILABLE FOR USE OR FOR LOST OR CORRUPTED DATA OR SOFTWARE. GVS WILL NOT BE LIABLE FOR LOST PROFITS, LOSS OF BUSINESS OR OTHER CONSEQUENTIAL, SPECIAL, INDIRECT, OR PUNITIVE DAMAGES, EVEN IF ADVISED OF THE POSSIBILITY OF SUCH DAMAGES, OR FOR ANY CLAIM BY ANY THIRD PARTY EXCEPT AS EXPRESSLY PROVIDED HEREIN. CUSTOMER AGREES THAT FOR ANY LIABILITY RELATED TO THE PURCHASE OF PRODUCTS OR SERVICES, GVS IS NOT LIABLE OR RESPONSIBLE FOR ANY AMOUNT OF DAMAGES ABOVE THE AGGREGATE DOLLAR AMOUNT PAID BY CUSTOMER FOR THE PURCHASE(S) UNDER THIS AGREEMENT. Binding Arbitration. ANY CLAIM, DISPUTE, OR CONTROVERSY (WHETHER IN CONTRACT, TORT, OR OTHERWISE, WHETHER PREEXISTING, PRESENT OR FUTURE, AND INCLUDING STATUTORY, COMMON LAW, INTENTIONAL TORT AND EQUITABLE CLAIMS) AGAINST GVS, its agents, employees, successors, assigns or affiliates (collectively for purposes of this paragraph, "GVS" arising from or relating to this Agreement, its interpretation, or the breach, termination or validity thereof, the relationships which result from this Agreement (including, to the full extent permitted by applicable law, relationships with third parties who are not signatories to this Agreement), GVS?advertising, or any related purchase SHALL BE RESOLVED EXCLUSIVELY AND FINALLY BY BINDING ARBITRATION ADMINISTERED In San Francisco. Applicable Law; Not For Resale. Customer agrees to comply with all applicable laws and regulations of the various states and of the United States. Customer agrees and represents that it is buying for its own internal use only, and not for resale. 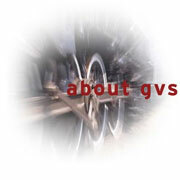 GVS has separate terms and conditions governing resales.